Hot on the heels of his savage knockout of David Price on the undercard of the heavyweight unification clash between Anthony Joshua and Joseph Parker on Saturday night, veteran heavyweight Alexander Povetkin has been offered a fight with WBC #1 contender Dillian Whyte in June by promoter Eddie Hearn. The 38-year-old Russian, who starched the hapless Scouser with a left hook in the fifth round at Cardiff’s Principality Stadium, will move into the WBA’s number one contender spot with the victory. It’s a savvy move from the Matchroom Sport boss, who wants to stall a fight between his blue-chip heavyweight Joshua and Povetkin by offering the dangerous veteran an alternative payday against Whyte. “He will be the mandatory for AJ. 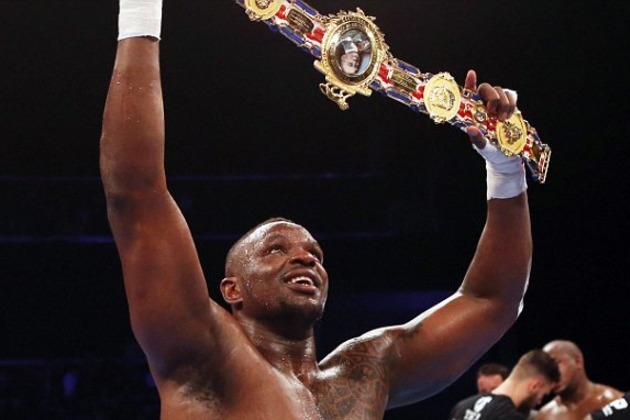 I’ve made him an offer to fight another fighter in June if he wants it – Dillian Whyte,” said Hearn, according to the Mirror. The 29-year-old Whyte, who goes by the nom de plume “The Body Snatcher”, is coming off an impressive KO victory himself against Australian heavyweight Lucas Browne at the O2 Arena in London nine days ago. That victory consolidated Whyte’s position as the WBC number one contender for American Deontay Wilder’s green championship belt. The Brixton heavyweight is amiable to the idea of facing Povetkin first. The 23-1 (17) Whyte, nine years Povetkin’s junior, has only ever lost to Joshua when the two met in the current heavyweight champion’s 15th pro bout. Joshua won by TKO7 but Whyte did have his own moments of success. Povetkin, 34-1 (24), has only ever lost to long-reigning heavyweight champion Wladimir Klitshcko back in 2013. At the time the Ukrainian titleholder was undefeated in nine years and making the fifteenth consecutive title defence in his second world title reign.